We keep a keen eye on the market to help our buy to let landlords source the best possible investment opportunity. Here is our selected property this week and we have done estimated calculations for you to show how it would make a great investment. The property is a four bedroom flat located in the heart of Glasgow’s city centre district. It is located on the first floor and benefits from spacious living areas and ornate period features, the Home Report is £210,000. Should the avenue of HMO or serviced apartment basis be explored for this property, it would maximise the rental potential. 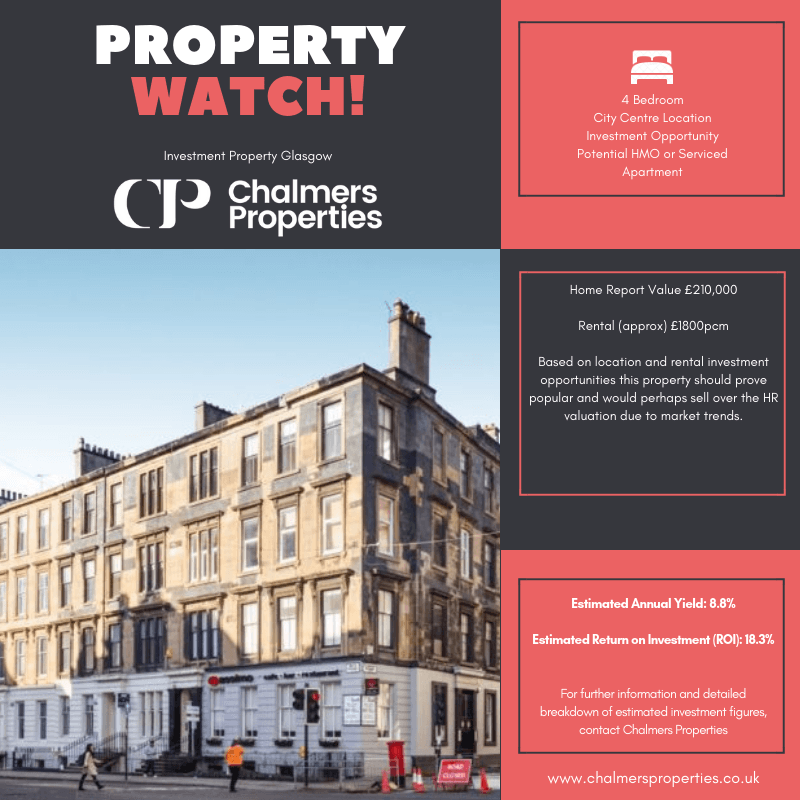 For further details and a full breakdown of the estimated investment figure please contact Chris Chalmers direct. Chris would be delighted to offer a free consultation to any current or potential Landlord seeking advice or guidance in the residential property market in Glasgow.